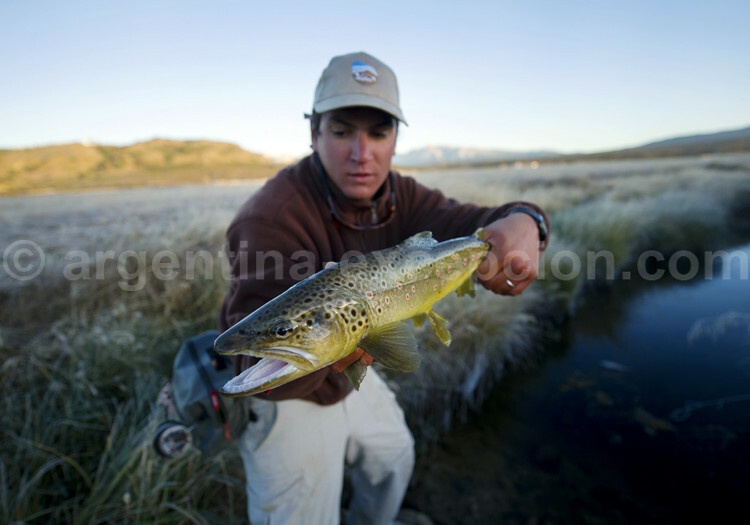 From gastronomy to sport, all the most interesting fish species of Argentina according to your region. This grey fish of 45 cm inhabits the basins of different rivers: Paraná, Bermejo, Pilcomayo, Uruguay, de la Plata, Juramento (Salta), Dulce (Santiago del Estero), and Salí basin (Tucumán). It is very energetic. In the family of salmon fishes, the dorado prefers strong water currents in the region of Paraná river, at the argentine Mesopotamia. It may be more than one meter long and 25 kg. 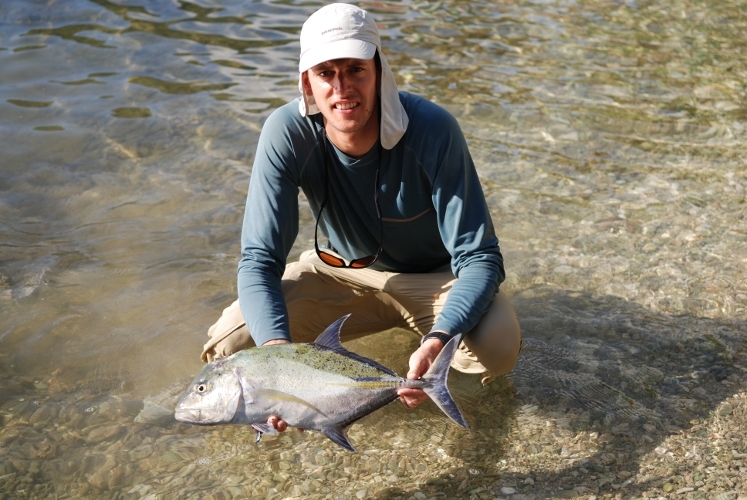 It is one of the favorite specimens for sport fishing, since it is difficult to catch. Known as “river tiger”, it is energetic, with strong teeth, and is fed on other fish species. 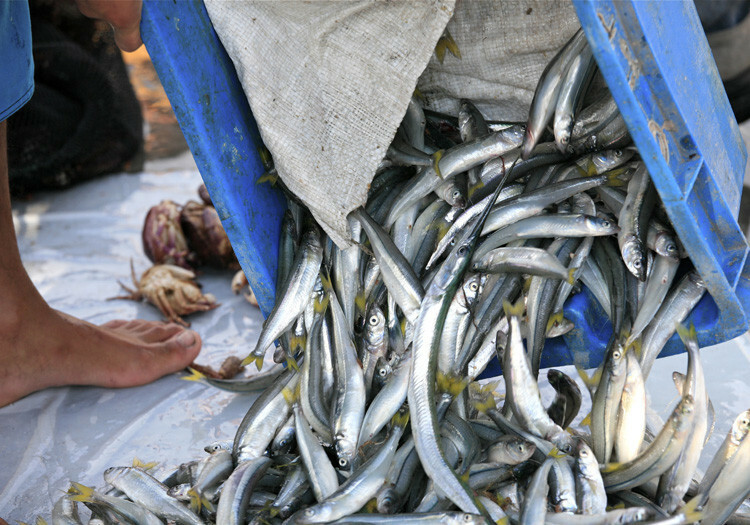 Its population dramatically decreased in the eighties as a result of excessive fishing. This species inhabits the following rivers: Paraná, Paraguay, Pilcomayo, Bermejo, Uruguay and la Plata. It is similar to the catfish but is has a lead blue color and has no spines in its fins, what makes it easy to handle. This fish species, in the Siluridae family, are great predators; however, they have decreased in number as a result of fishing and the alteration of their habitat. 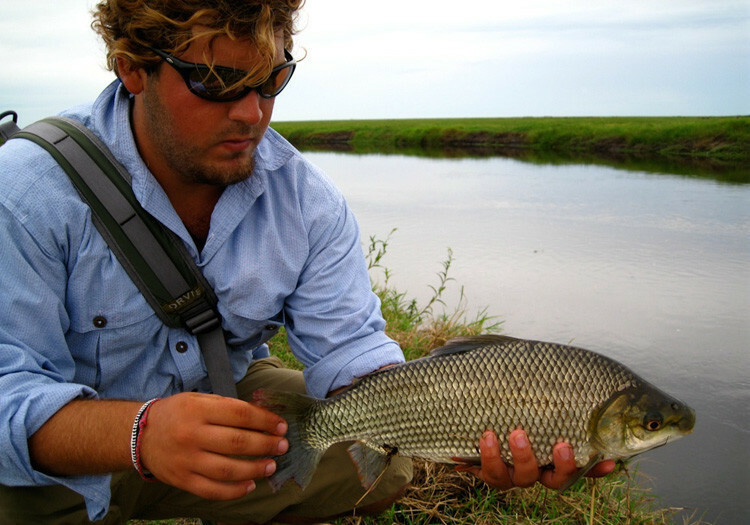 The barred sorubim is the strangest species that inhabits in the Paraná and Uruguay rivers. It has transversal strips and round spots. 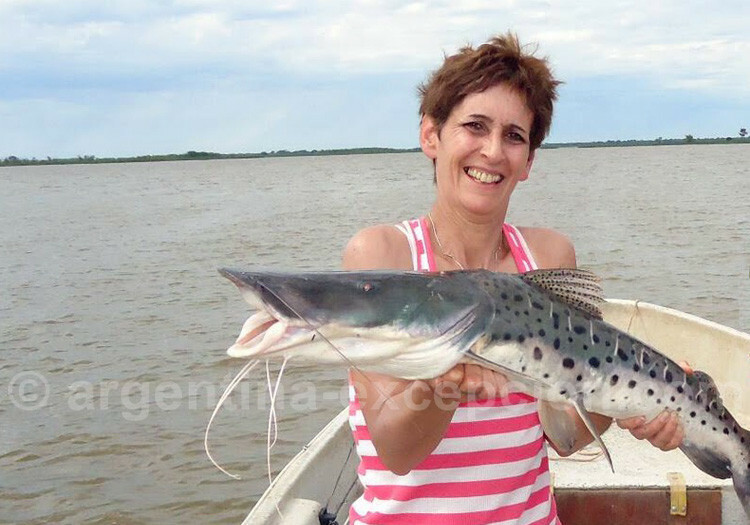 The surubí manchado (stained surubí), with small round black spots, is one of the largest fish species in Argentina. The female reaches 1.55 m max. and 50 kg. It inhabits the following rivers: Paraguay, Paraná, Uruguay , and de la Plata. As its name indicated, this fish lives in the lakes of Buenos Aires province, and travels to Uruguay and Paraná rivers during winter. It may exceed 70 cm and 10 kg. It is characterized by its elongated shape, a silver strip and a protractile mouth: It goes forward to catch its food, plankton or fish. The silverside is caught in both commercial and sport fishing. 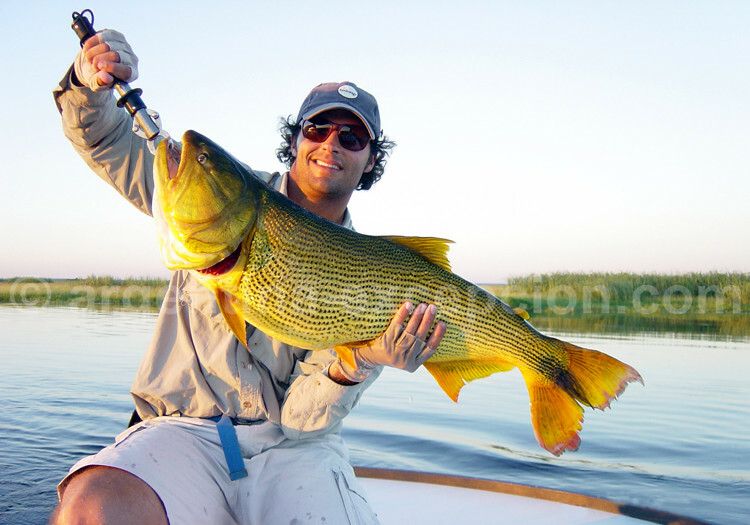 Sport fishermen catch it in Autumn and Winter, especially in the estuary of Río de la Plata, in Uruguay and in the delta great rivers, but also in the rest of the country, where it was introduced by men. 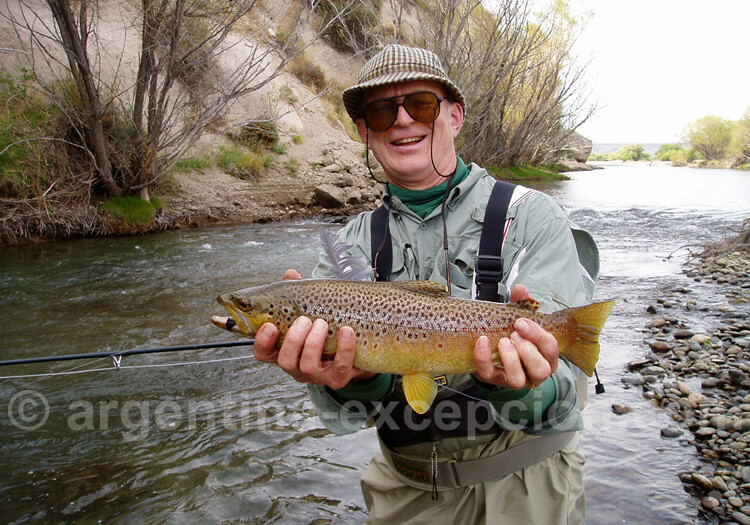 Many different rays may be fished at the sandy bottom of the Argentine great rivers. They are appreciated by gastronomes for their “wings” meat, and by sport fishermen for their resistance. The ray requires a solid material. It may reach 30 kg; however, a 208 kg specimen was caught in the Paraná river. 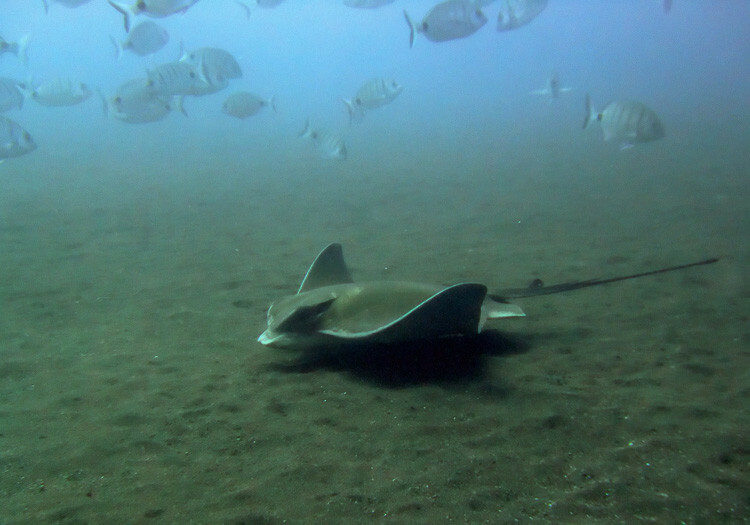 Rays defend themselves with a particularly painful sting. 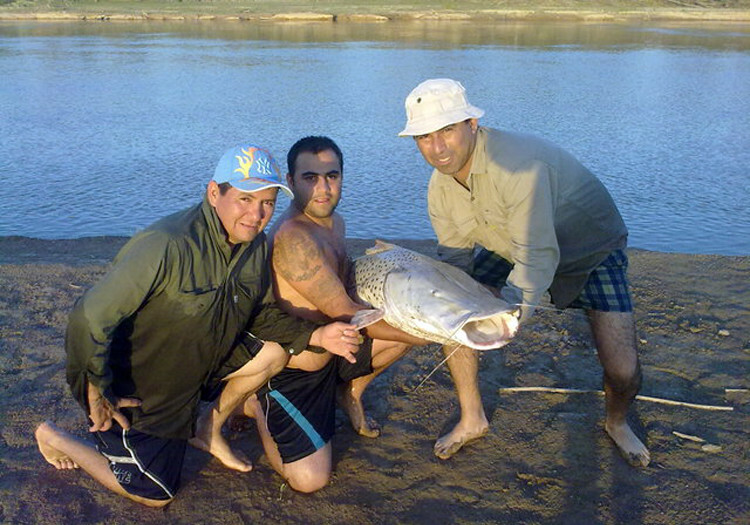 The sábalo inhabits the rivers in the Argentine Mesopotamia, has a flat body of 50 to 60 cm, and weighs 6 kg. It is difficult to fish it with road since it prefers deep waters where it is fed on organic mud. It inhabits the basins of different rivers: Paraná, Bermejo, Pilcomayo, Uruguay, de la Plata, Juramento (Salta), Dulce (Santiago del Estero), and cuenca de Salí (Tucumán). 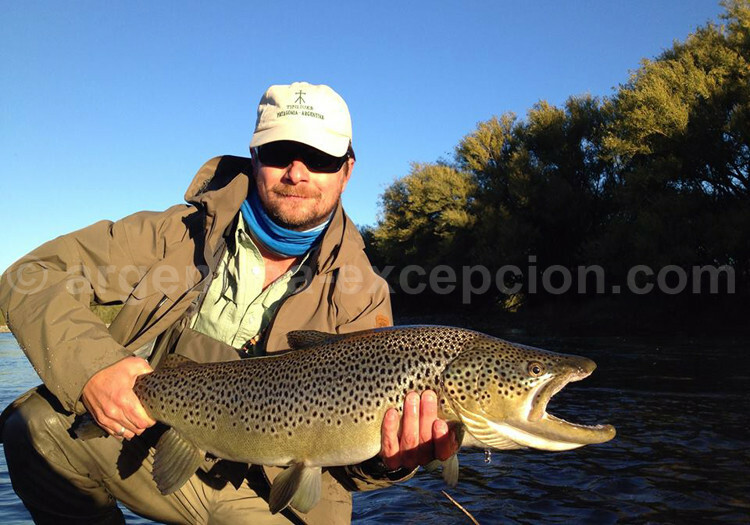 A subspecies of the Atlantic salmon, one of fishermen’s favorite species for its beauty and energy, has the peculiarity of living in fresh waters, especially in North Patagonia, in Neuquén province and in the lakeside region. It was brought to Argentina at the beginning of the 20th Century. After catching the fish, release is mandatory. Very energetic, rainbow trout is one of the favorite fish species for sport fishing. It has a dark blue back, silver flanks with a red-orange stripe covered by black spots, and a white abdomen. It weighs about 11kg, and may be found in mountain rivers, in the Andean and Patagonian region. This trout, in the salmon family, lives in mountain rivers. The biggest specimen weighed 16kg and was coughed in Argentina in 1952. Like the sole, the black drum is abundant in Mar Chiquita. During the breeding period, this fish emits a mysterious sound, which makes it an easy prey to find. It may be caught from November to May. The species that may be fished in the mild waters of the South Atlantic, especially in San Jorge Gulf and Península Valdés, sometimes reaches 120 kg, what makes it special species for harpoon fishing. 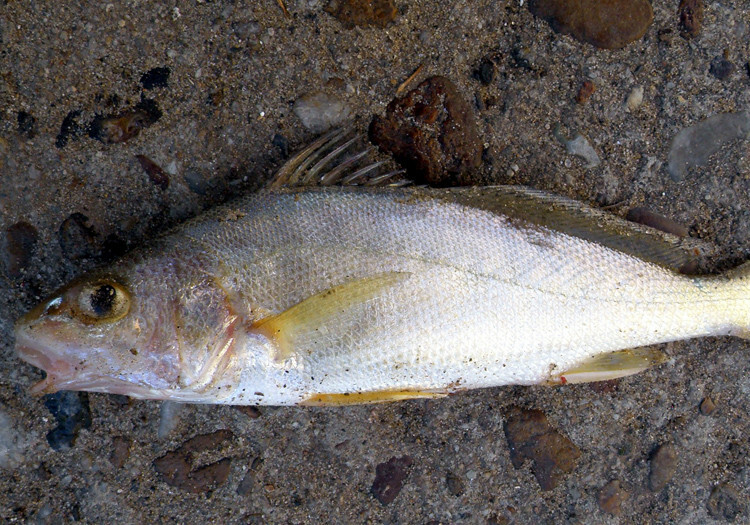 The specimen on the coast shores are smaller, about 5 kg. Fishing season goes from December to March. This powerful fish that is fed on crustaceans is named after the yellow color of its flanks. 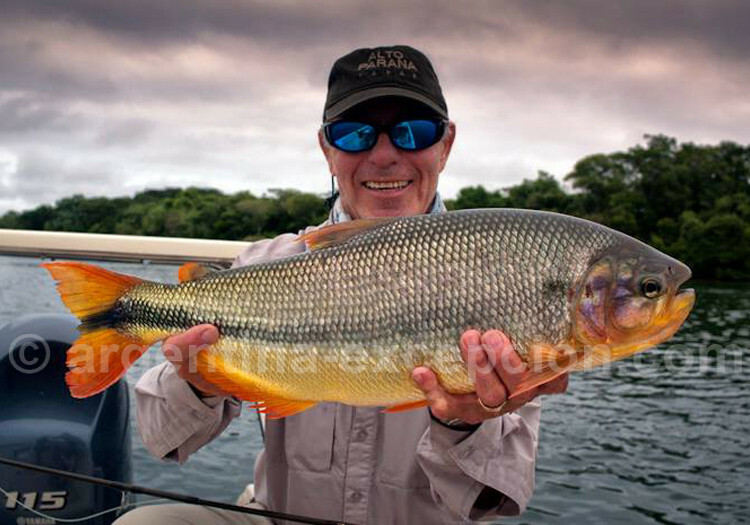 Fish specimens weigh about 4 to 7 kg, although there are some which weigh 12 kg. 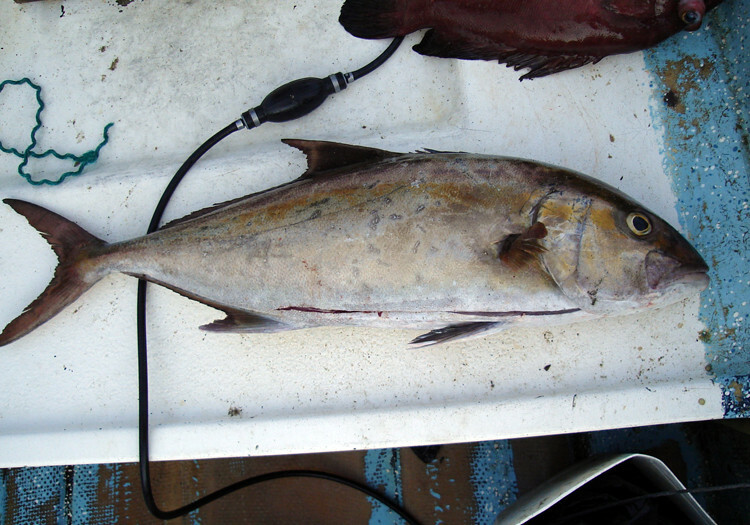 The yellowtail, in the tuna family, is coughed on the shores of Mar del Plata and Necochea, from February to May.